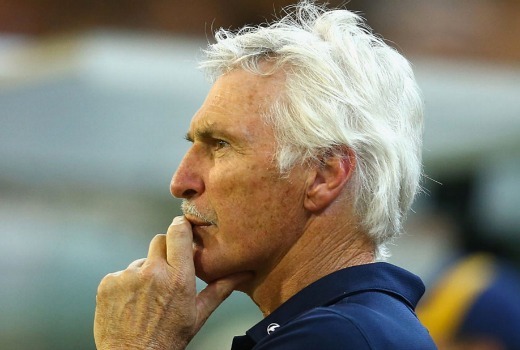 Legendary AFL coach Mick Malthouse is joining The Recruit as the new Coach for 2016. He replaces Michael Voss who joined Port Adelaide Football Club in 2015, delaying a second season on FOX8. Production on season two has commenced and the series will air on FOX8 in 2016. Mick Malthouse had an impressive AFL career that included the 1980 Richmond premiership win over Collingwood, but it is his legendary coaching career since he retired from playing that he is renowned for. Mick currently holds the record for the most VFL/AFL games coached, notching up a massive 718 games with four different clubs over 31 years. Over this time, he took all four clubs into a finals series. Season one of The Recruit aired in 2014 and was one of the breakout hits for Foxtel’s flagship, general entertainment channel, FOX8. The premiere was one of the highest program launches in subscription television history, and finished as the channel’s most watched series that year. I think this is a great move. Voss was a fantastic player, but didn’t have any real coaching credentials. Yes Mick probably stuck around as a senior coach too long, but Mick has plenty to offer young and aspiring players. He did coach two teams to premierships and played in one himself. To a young player, any words of advice from someone who’s tasted success on the last day in September, will be gold. Can’t wait to see the look on their faces when Fitzy tells them who their coach is for the first time.